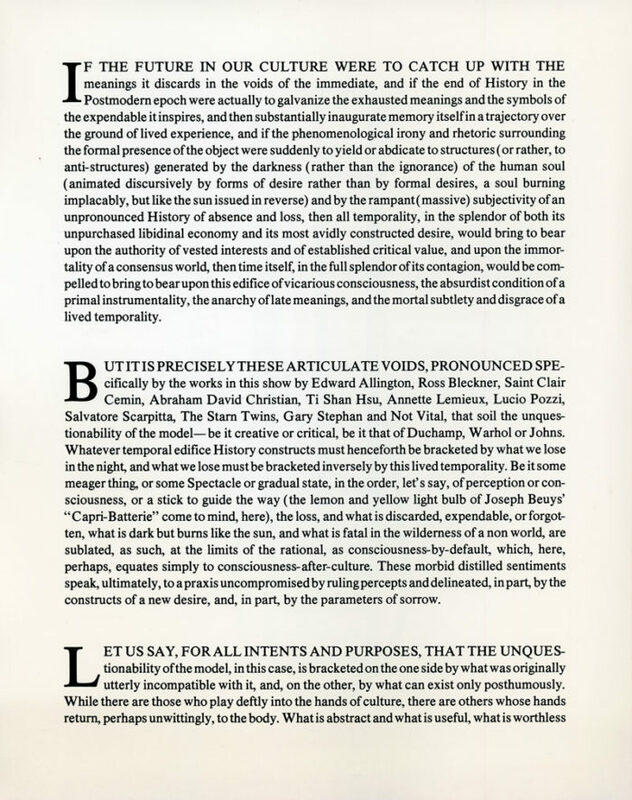 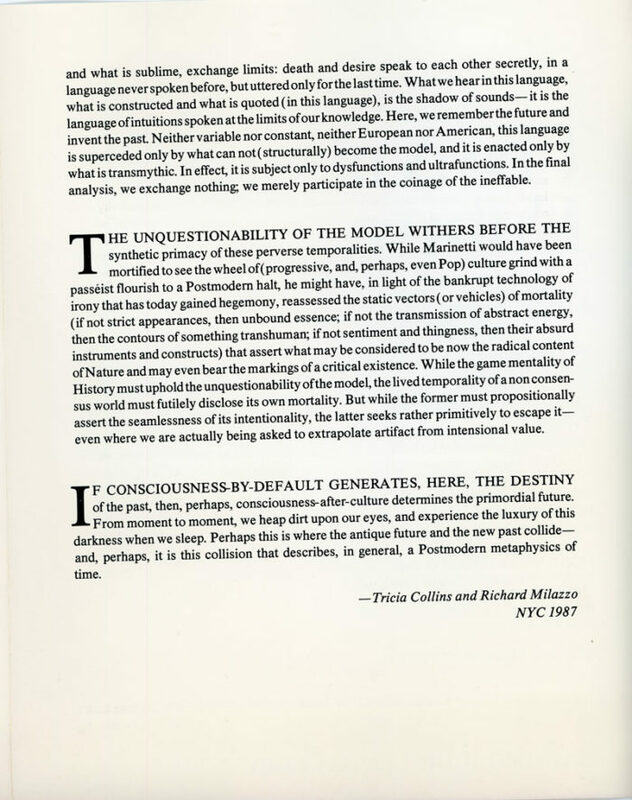 Large folded card for The Antique Future, a group show curated by Collins & Milazzo at Massimo Audiello Gallery, 1987. 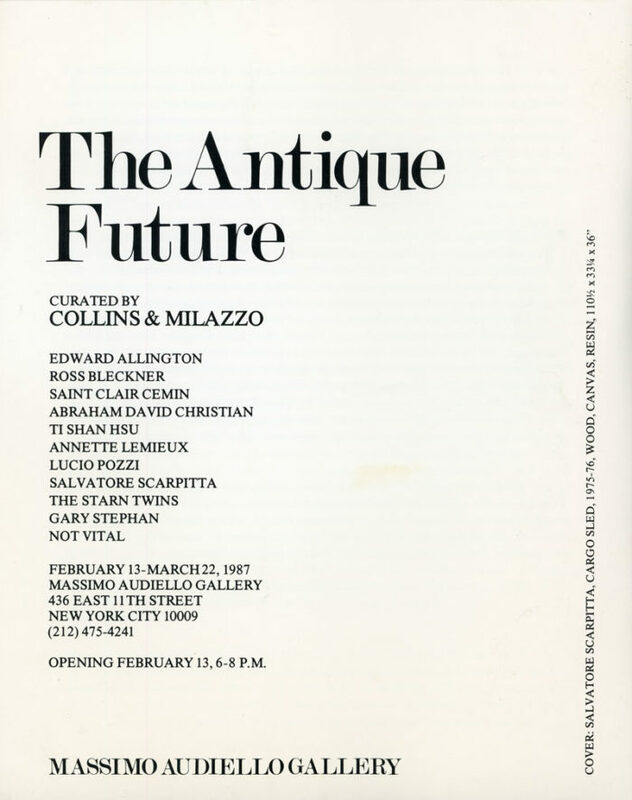 Participating artists included Ross Bleckner, Lucio Pozzi, Salvatore Scarpitta, The Starn Twins, Not Vital and others. 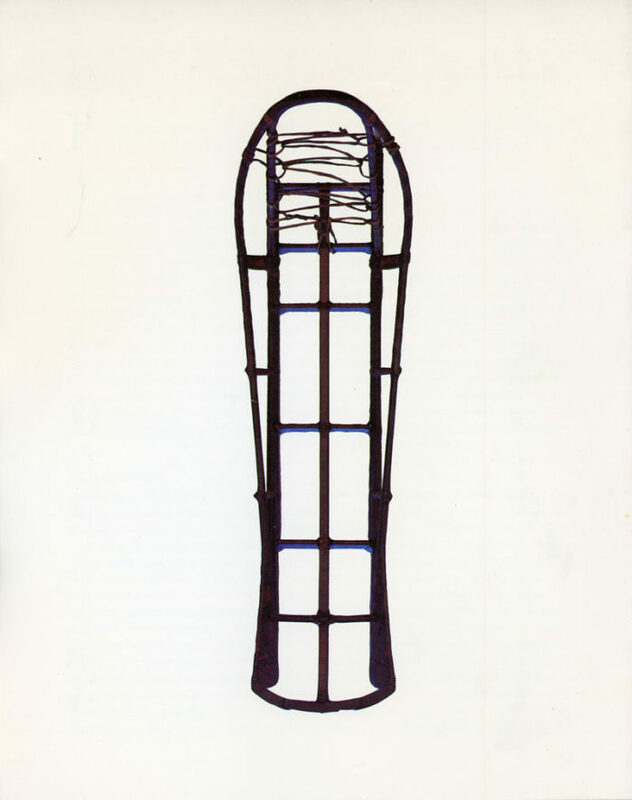 Front of card features Scarpitta’s Cargo Sled, 1975-76.